Among all the leaders of various Congress factions, Digvijay Singh is seen as the only one with an all-Madhya Pradesh connect. Indicative of a tough fight, the Congress has decided to field former Madhya Pradesh Chief Minister Digvijay Singh from the Bhopal Lok Sabha constituency, it was announced here on Saturday. Bhopal is one of the four seats the party has not been able to wrest from the BJP for the past three decades. The Congress is yet to release its list of nominees, but Chief Minister and PCC chief Kamal Nath made the announcement during a chat with reporters in Bhopal on Saturday. 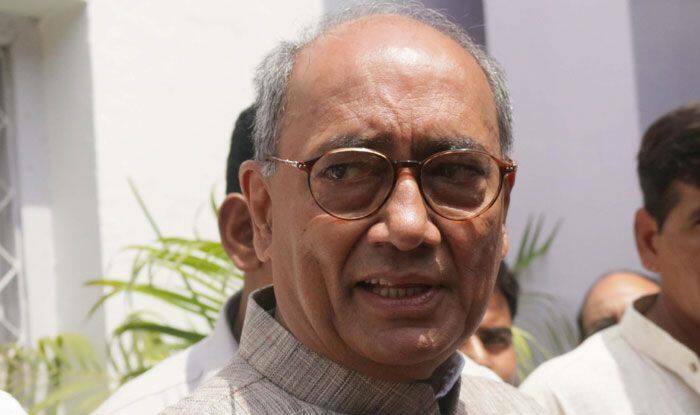 Among all the leaders of various Congress factions, Digvijay Singh is seen as the only one with an all-Madhya Pradesh connect. Indore, Vidisha and Damoh are the other constituencies the Congress has not been able to wrest from the BJP for the past 30 years. The proposal to field Digvijay Singh follows Kamal Nath’s suggestion that the party must field its best candidates from such BJP strongholds. The move is also seen as a way to stymie Digvijaya Singh, who has often embarrassed the party with his utterances. Two other senior leaders, Jyotiraditya Scindia and former Leader of Opposition in the state assembly, Ajay Singh, might be fielded from Gwalior and Sidhi respectively. The party had conducted a statewide survey and decided to reshuffle its pack for the upcoming elections. The Congress holds three of the state’s 29 seats in the outgoing Lok Sabha – Chhindwara, Guna and Ratlam. The BJP, which swept 27 seats in 2014, later lost Ratlam in a byelection to Kantilal Bhuria, a former PCC chief. Scindia may shift to Gwalior after reports of possible dissensions within the party over his current Guna constituency. Bhuria would again contest from Ratlam. Though new Congress ally Jai Adivasi Yuva Sangathan (Jayas) has staked its claim for four tribal seats, including Ratlam, it might settle for two and Bhuria would thus stay put in Ratlam. Kamal Nath, who has represented Chhindwara for the past nine terms, would contest a by-election from the Chhindwara assembly seat. His son Nakul Nath might contest the Chhindwara Lok Sabha seat. Digvijaya Singh, who was keen to join the fray from Rajgarh, is projected as a winning proposition from Bhopal. With nearly two million votes at stake, Digvijaya Singh could provide a strong challenge to the BJP, which has retained the constituency for five terms. Dogged by factionalism, the Congress has remained out of power for three terms in Madhya Pradesh. Through the Assembly elections, Digvijaya Singh was, therefore, tasked to eliminate factionalism from the party and he travelled through the state to bring about rapprochement among diverse groups. Digvijaya had announced self-exile from electoral politics for ten years after the Congress lost power in 2003. His critics termed the ‘sanyas’ a delusional tactic. After his exile ended in 2013, Digvijay Singh was elected to the Rajya Sabha in 2014. Digvijaya Singh had commenced his Narmada Yatra on September 30, 2017, declaring it a private, religious journey. In six months, he covered 90 Asssembly constituencies and “friends” from the BJP also welcomed him at various places.